...subject-matter expert insights, all with the maritime industry's communication needs in mind. This 44-page guide encompasses all of the major technological concerns and needs for those who ply the commercial waterways across the globe. Certainly, the reports are positive. "Maritime SATCOM’s global coverage and the positive revenues associated with such endeavors for satellite operators and service providers has resulted in rapid growth for this SATCOM market segment." The guide's introduction is followed by an essay from Euroconsult's Senior Consultant, Wei Li, entitled, "The Future Of Maritime SATCOM" that discusses the future of this crucial market segment leading off the major sections of the publication. A look at the bandwidth balance and considerations that must be taken into account for successful maritime communication within the harsh, mobile environments encountered by vessels around the world is tackled in the SATCOM Bandwidth At Sea section of this important guide. Then, the bridge between legacy and emergent systems is but one portion of the SATCOM Equipment At Sea section, which also examines the capabilities of today's systems versus the previous generation of equipment. Laws and regulations that pertain to this realm—that cover everywhere in the world where there is water and ships—can be daunting. This is not simply "nice to know" information—this is "must need to know" knowledge for ship owners and captains and those who sail the seas who wish to apply efficient as well as legal telecommunications to their operations. To ensure everyone understands maritime terminology, there is a section dedicated to Maritime SATCOM Terminology—the Satnews Maritime SATCOM Guide delves into the acronyms and terms commonly used throughout this crucial market segment. 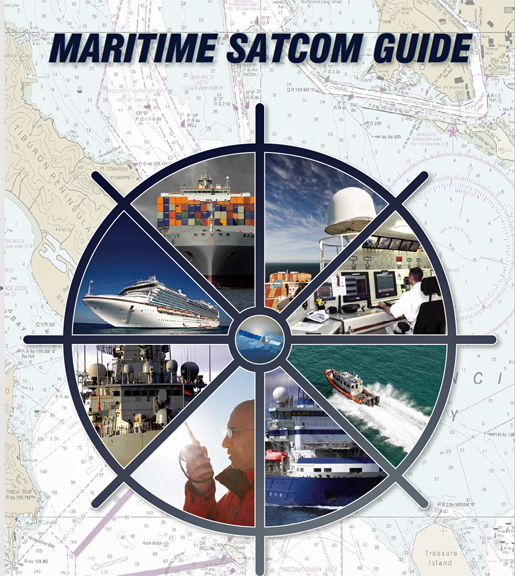 Download this free Satnews Publishers' PDF Maritime SATCOM Guide.